To inculcate 21st century skills to enhance student’s abilities to understand the concepts of social studies. To enable students to use IT to gain access to additional information sources . discuss the importance of the major crops of Pakistan. differentiate between the different environments, soils and the climate that each of the crops can sustain in. identify the positive as well as negative aspects of canal system irrigation. 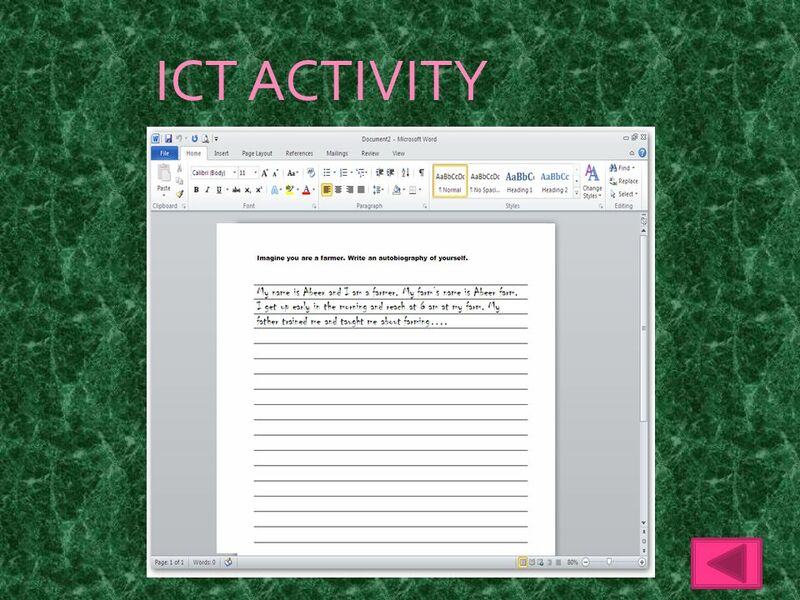 Write an autobiography by using Microsoft word. complete the project work . 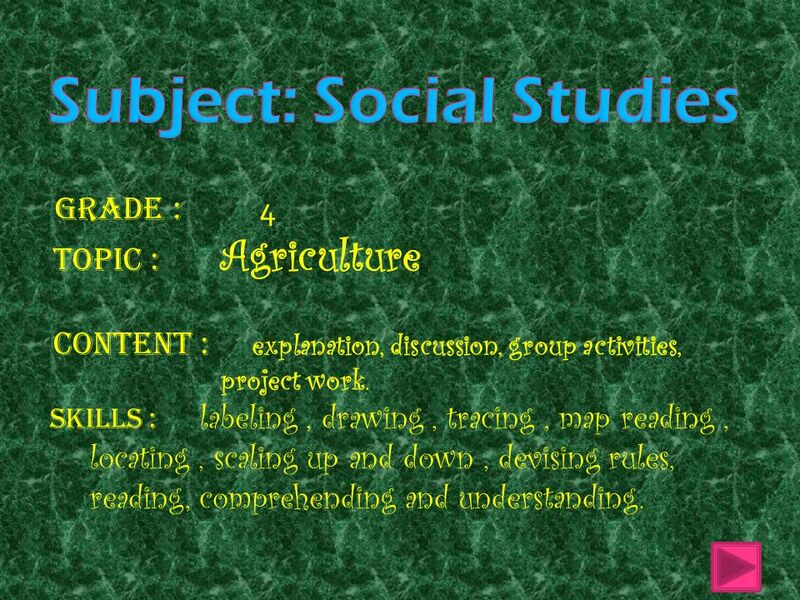 Grade : Topic : Agriculture Content : explanation, discussion, group activities, project work. Skills : labeling , drawing , tracing , map reading , locating , scaling up and down , devising rules, reading, comprehending and understanding. 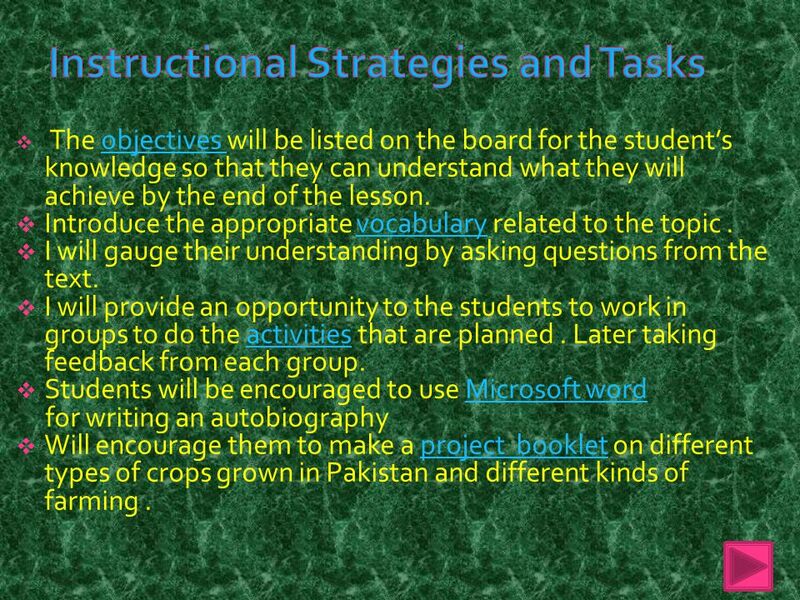 The objectives will be listed on the board for the student’s knowledge so that they can understand what they will achieve by the end of the lesson. 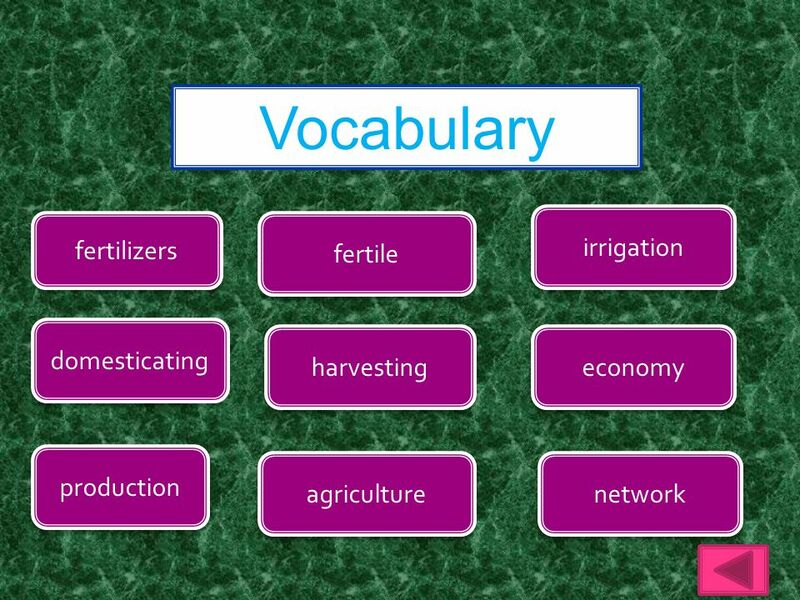 Introduce the appropriate vocabulary related to the topic . I will gauge their understanding by asking questions from the text. I will provide an opportunity to the students to work in groups to do the activities that are planned . Later taking feedback from each group. 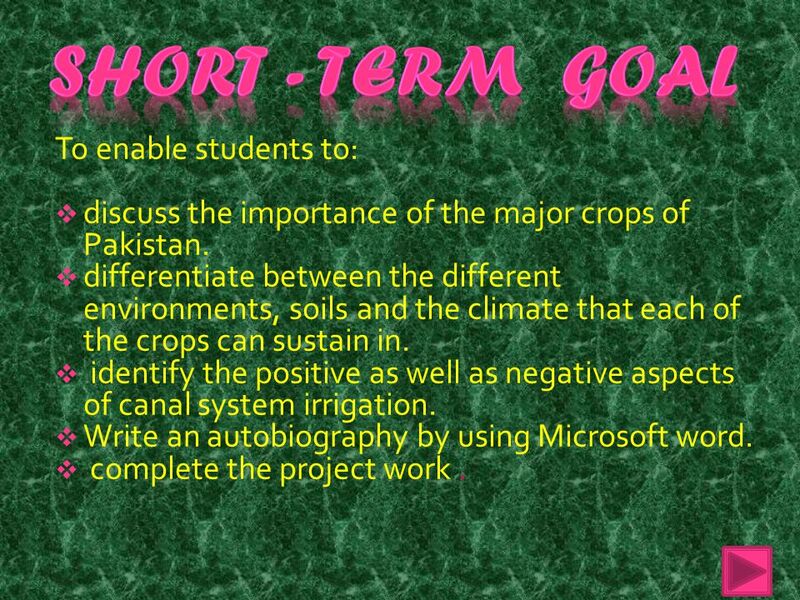 Students will be encouraged to use Microsoft word for writing an autobiography Will encourage them to make a project booklet on different types of crops grown in Pakistan and different kinds of farming . Not many computers in the ICT lab to complete the individual task on time. Some students will refuse to work in a group for project work. 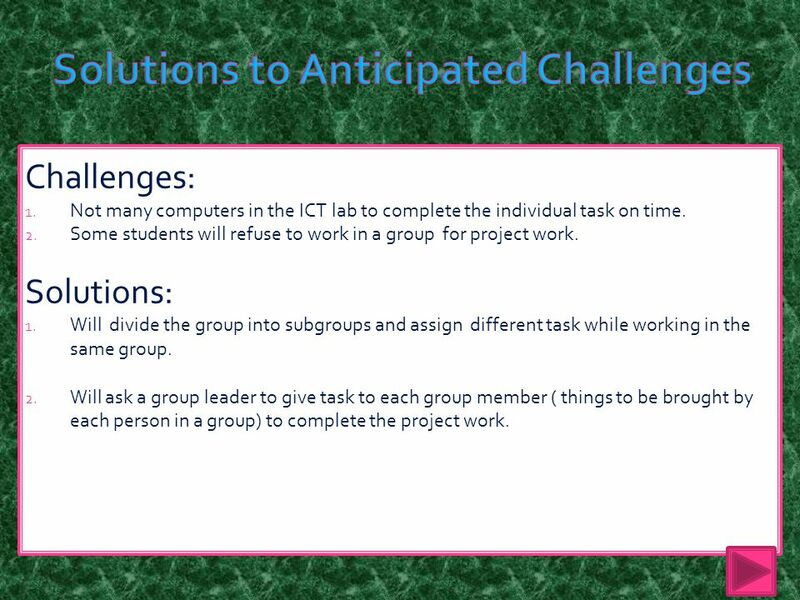 Solutions: Will divide the group into subgroups and assign different task while working in the same group. Will ask a group leader to give task to each group member ( things to be brought by each person in a group) to complete the project work. 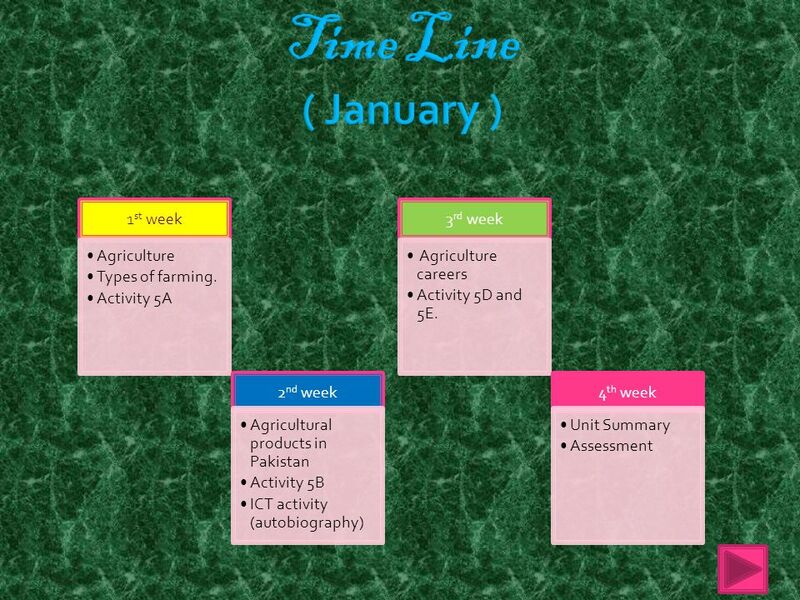 8 Time Line ( January ) 1st week Agriculture Types of farming. list the main crops of Pakistan. differentiate between the different environments, soils and the climate that each of the crops can sustain in. understand that farmers not only grow crops but raise animals on farms if they are a part of livestock farming. know that farming is not the only career associated with farming , there are also other careers associated with agriculture. 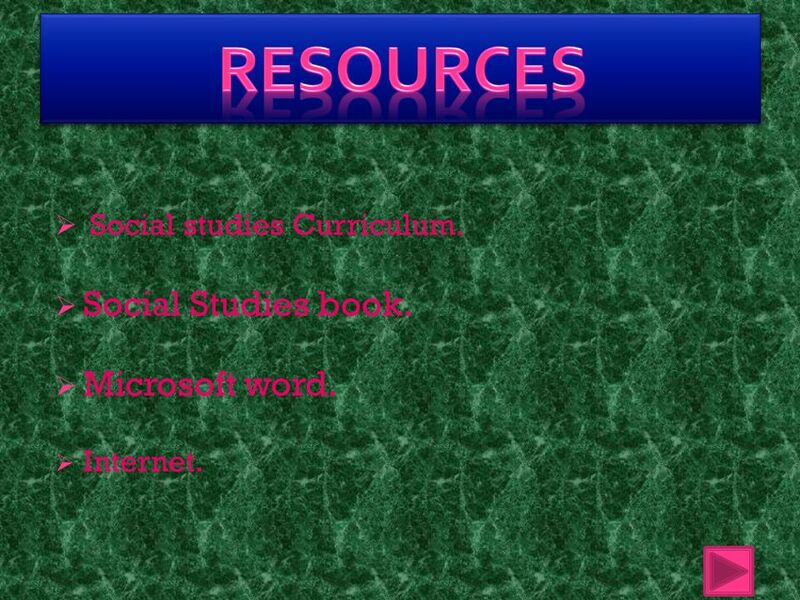 14 Resources Social studies Curriculum. Social Studies book. 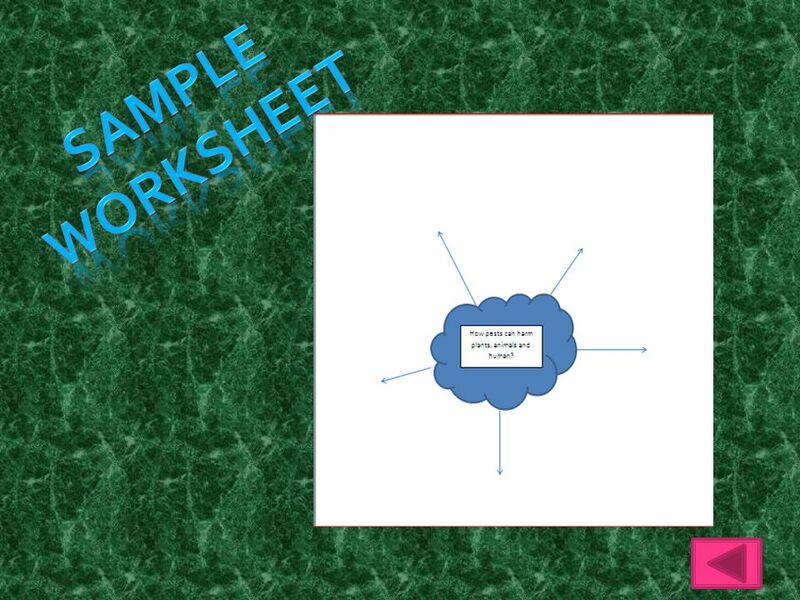 Download ppt "Mahwish Abid Class Teacher The City School, Jr. Section, PAF Chapter"
Adila Salman Mathematics Junior III. 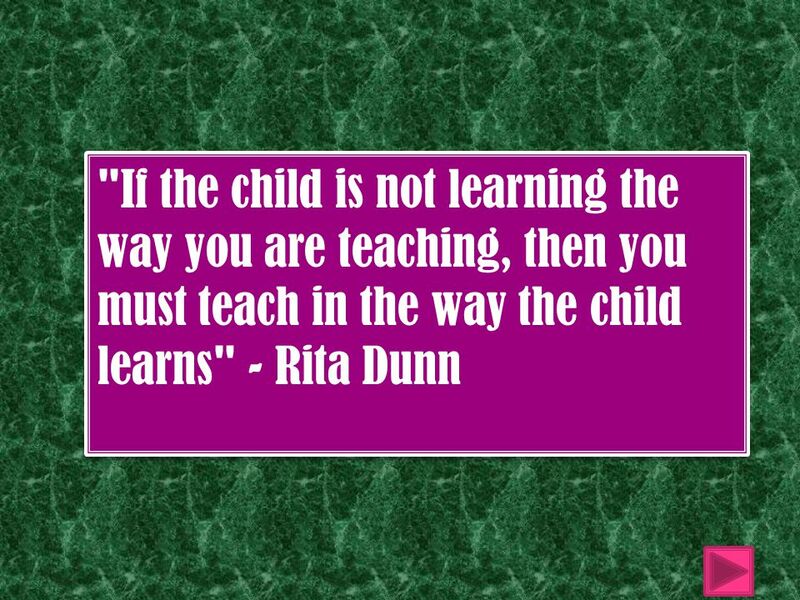 Long term goals Short term goals Standard Instructional strategies and task Anticipated challenges and solutions. 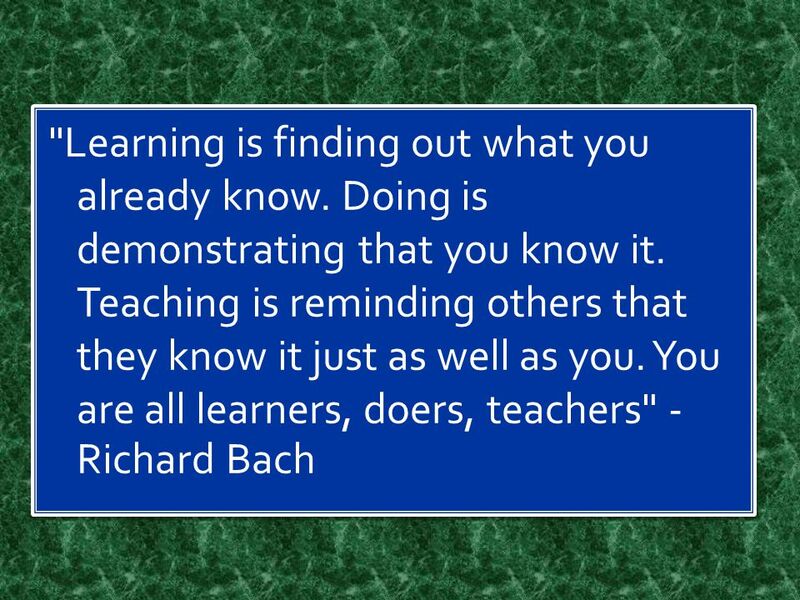 "Learning is finding out what we already know. Doing is demonstrating that you know it. 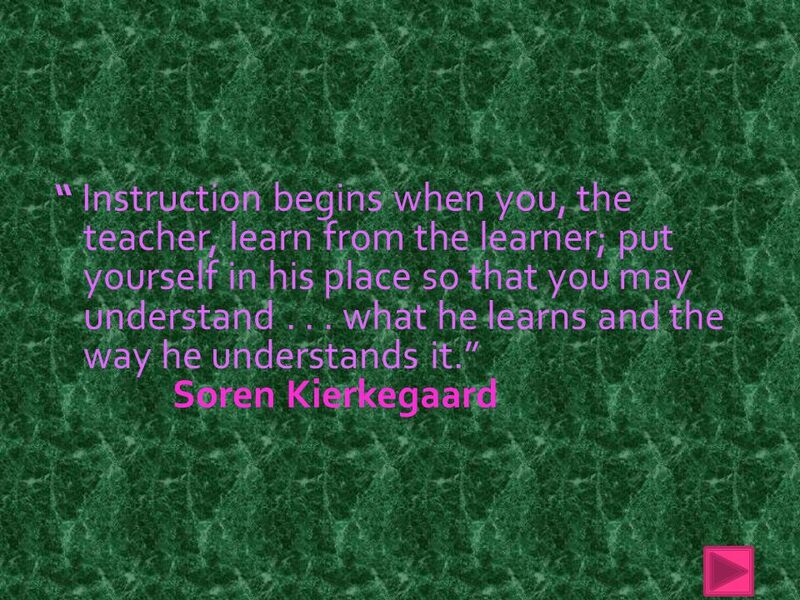 Teaching is reminding others that they know just as well as. TRAVELLING AROUND VIETNAM HOÀNG CHINH - LAM GIANG. Washington DC Student Project Unit Portfolio Presentation By Terri Lackey. Ms.Saira Majeed The City School English Jr.III  Adapt 21 st century’s teaching approaches to develop students’ understanding of the language skills. 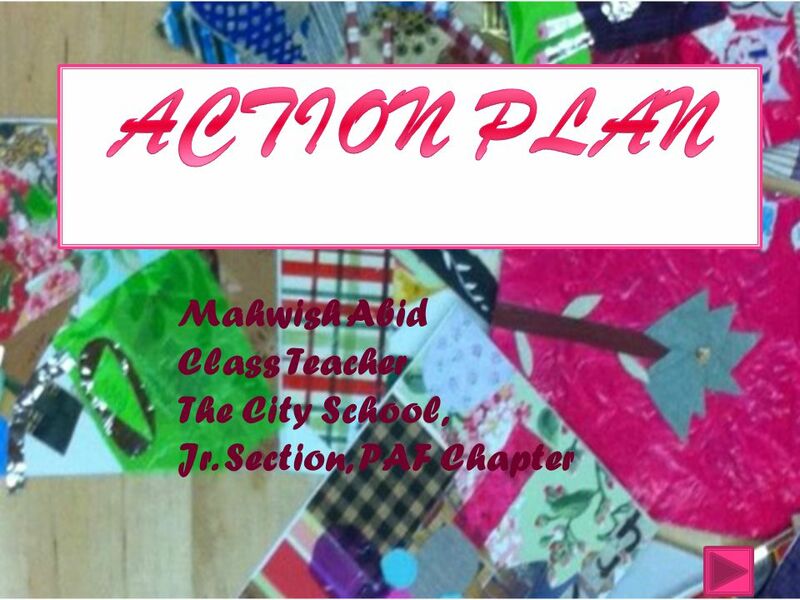 ACTION PLAN Ubaid Sheikh The City School Darkhshan Campus Grade 8. 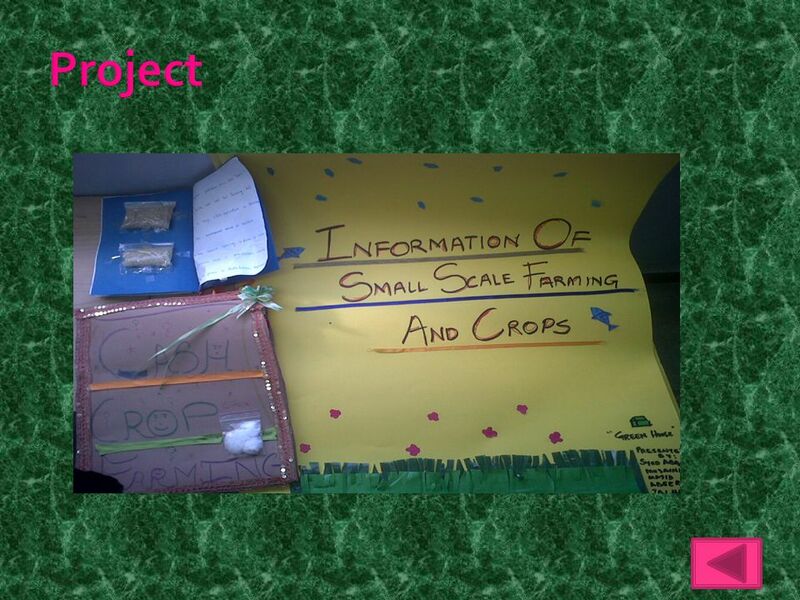 Information Systems Unit Portfolio Presentation Asim Ali Khan The City School Model Town Campus Lahore, Pakistan. MATH INTERVENTION MATERIAL REVIEW: Number Worlds Grades Pre-K – 8 and Algebra Readiness SRA In December Laura Clarke shared that Campbell Ridge is using.